Our ECActiv Water Treatment is another versatile product that can be utilized in a variety of ways on your farm. The perfect addition to your boot wash station to help stop the spread of bacteria and dirt from entering your bio-secure areas. Keep your parlor equipment cleaner and free of debris and bacteria. Your drinkers will stay cleaner, longer and provide fresher water for your cows. 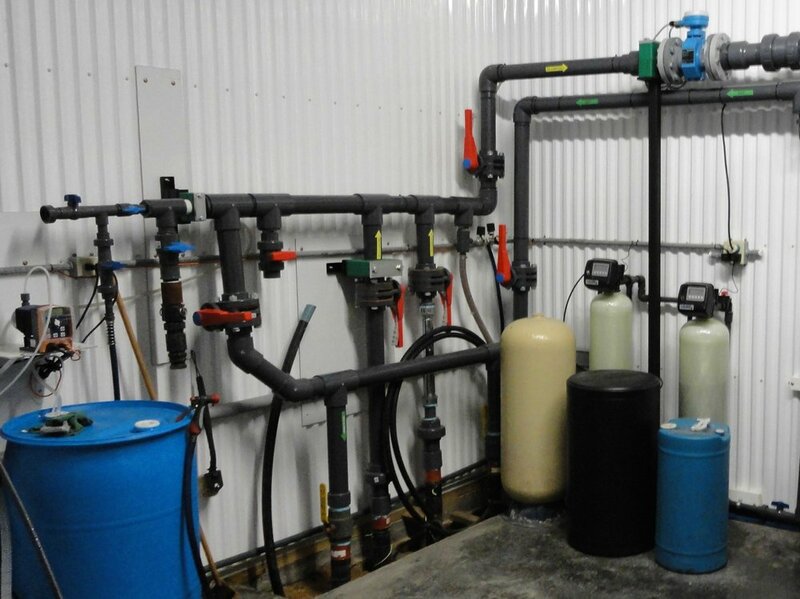 Experience cleaner water and improved flow throughout your entire farm. Assists in keeping drinkers cleaner, longer. ECActiv Water Treatment can be purchased by the gallon directly from one of our regional processing facilities. We will deliver it to you in 2, 5, 15, or 55 gallon drums or by 275 gallon totes. You can also produce your own ECActiv Water Treatment on-site for pennies on the gallon with one of our ECALogical Generating Systems. To find a Mid-West Recon facility near you visit our Contact Page or visit our Distributor Page for nationwide service and delivery.